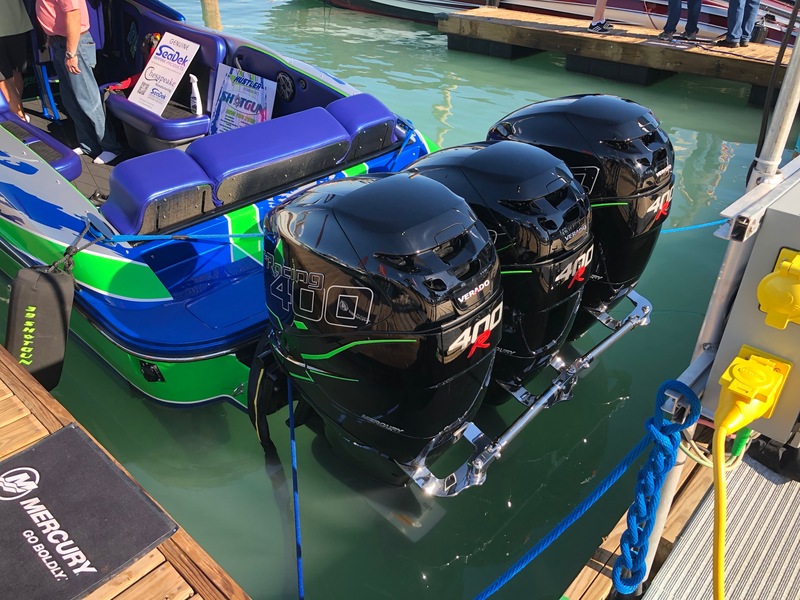 CALVERTON, NY– Hustler Powerboats is pleased to announce that they will be displaying a 39 Rockit powered by 725 Ilmor engines and Indy drive system in water during the show. The ultra stable, six-stepped 39 Rockit was designed and engineered to achieve speeds greater than 110 MPH with stock Ilmor power. 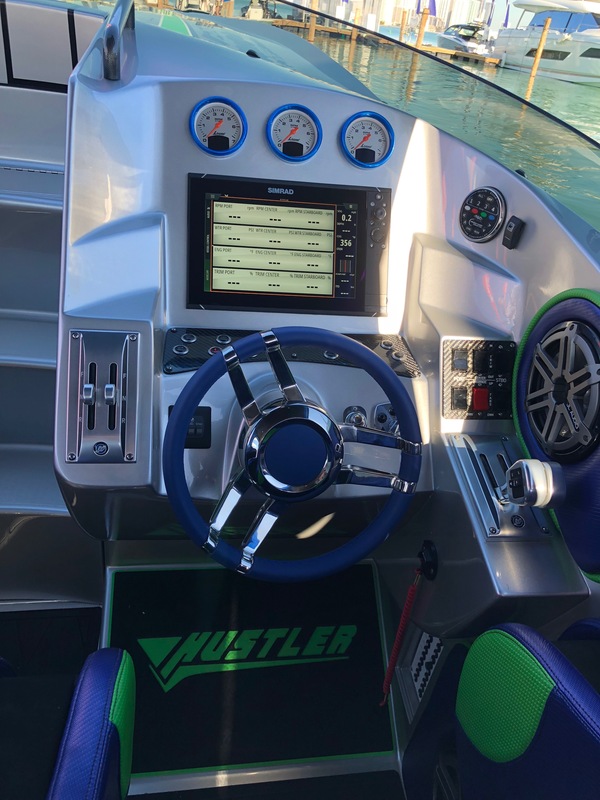 HUSTLER goals were inspired by the growing demand for safety and stability with the installation of higher horsepower engine packages. 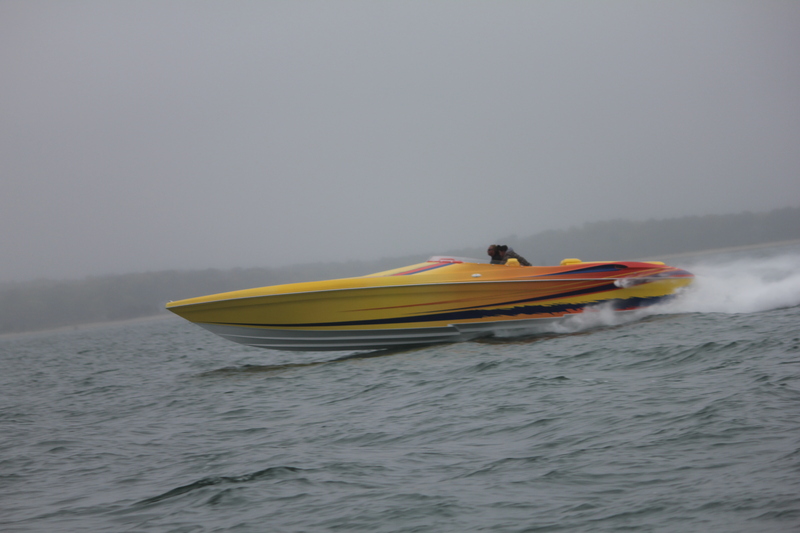 HUSTLER POWERBOATS has been delivering, Pound for Pound, Power for Power, Still the Fastest Boats In the World! The Hustler 39 Rockit will be displayed in slip 25 on the H/I dock. 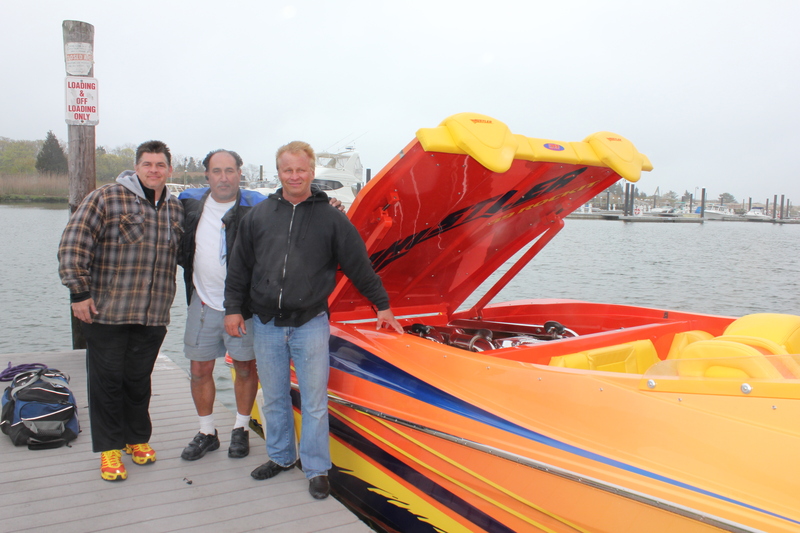 Call 631-208-2933 for advance appointments to view the boat as well as arrange a demo ride. 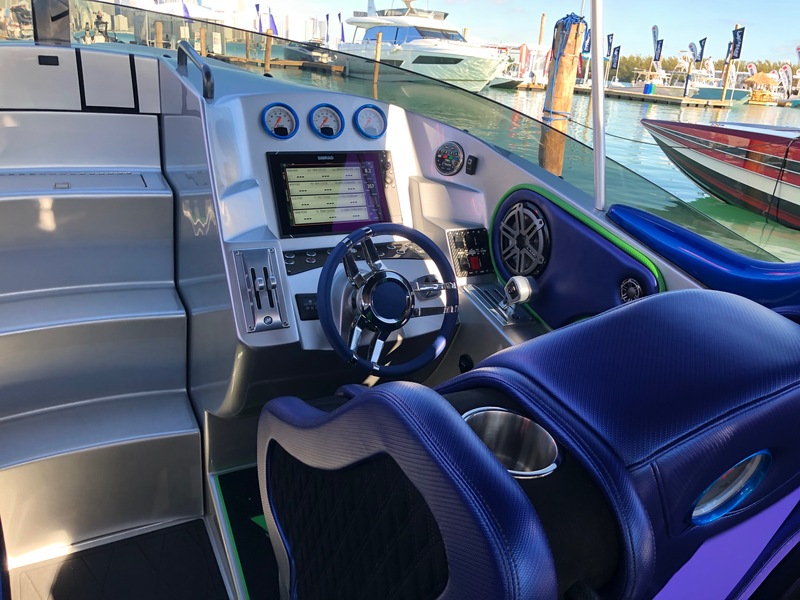 Hustler Powerboats, a division of Global Marine Power, Inc., manufactures 14 different models in both catamaran and Vee bottom designs, ranging from 21 feet to 50 feet in length. 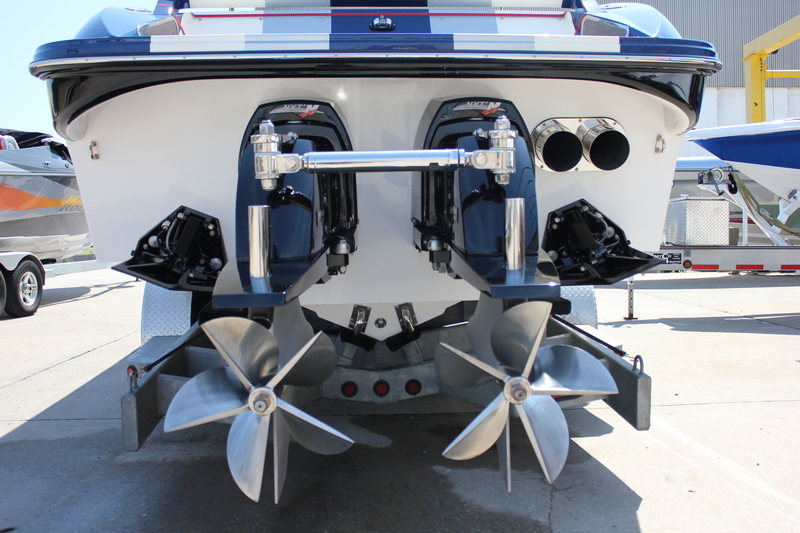 Visit us at www.hustlerpowerboats.com for more information. 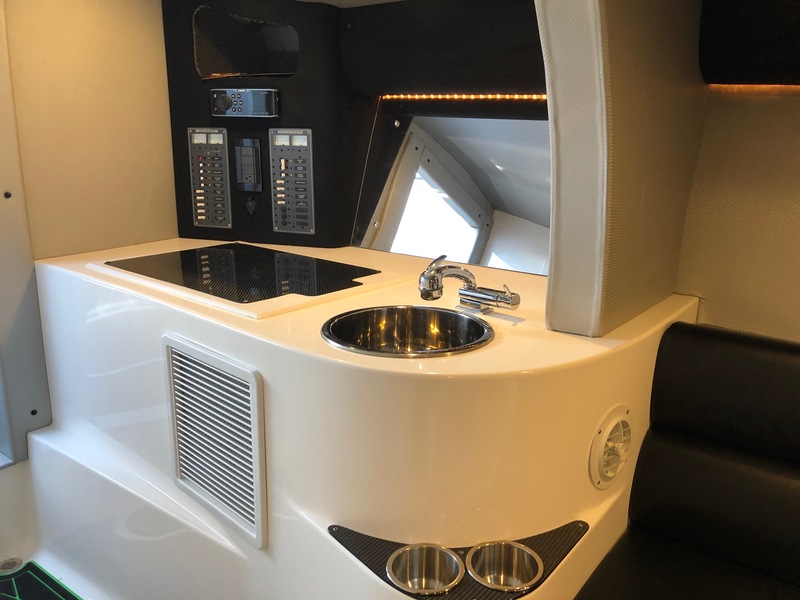 CALVERTON, NY– Hustler announces today that they are currently building a new 39 Rockit equipped with twin Mercury 1100’s. To be equipped with Mercury M8 drives, the newest 39 Rockit is the second 39 Rockit equipped with twin 1100’s, the first with Mercury Power. 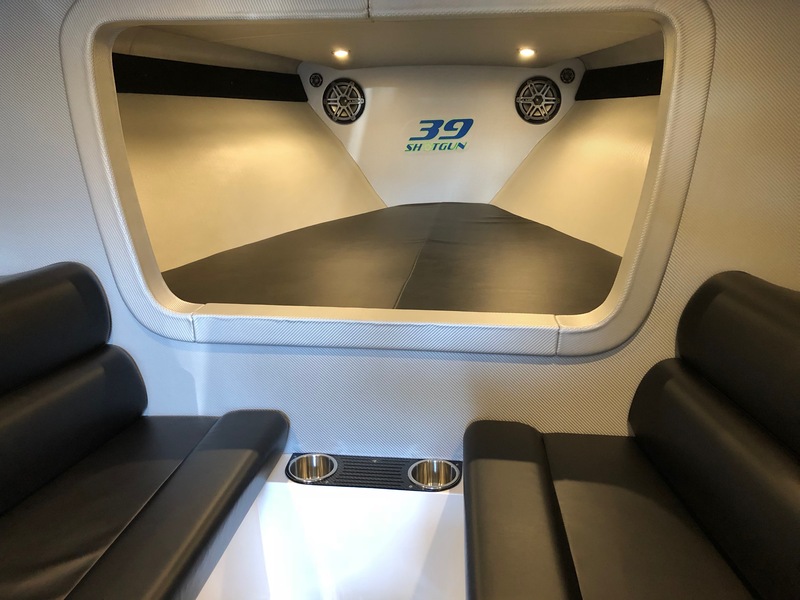 The 39 Rockit was designed for people looking to achieve 110+ mph safely without the worries of chine walking or porpoising. Prices start at $498,934 depending on power and drive choice. 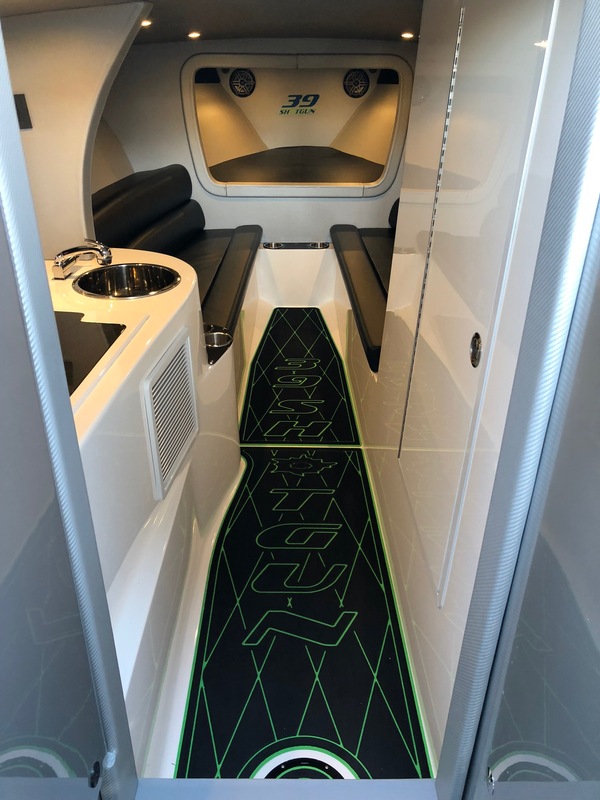 CALVERTON, NY– Hustler is pleased to announce the completion of the first stage of testing the 39 Rockit with Twin Young Performance 1100 EFI motors and Mercury Number 6 drives. 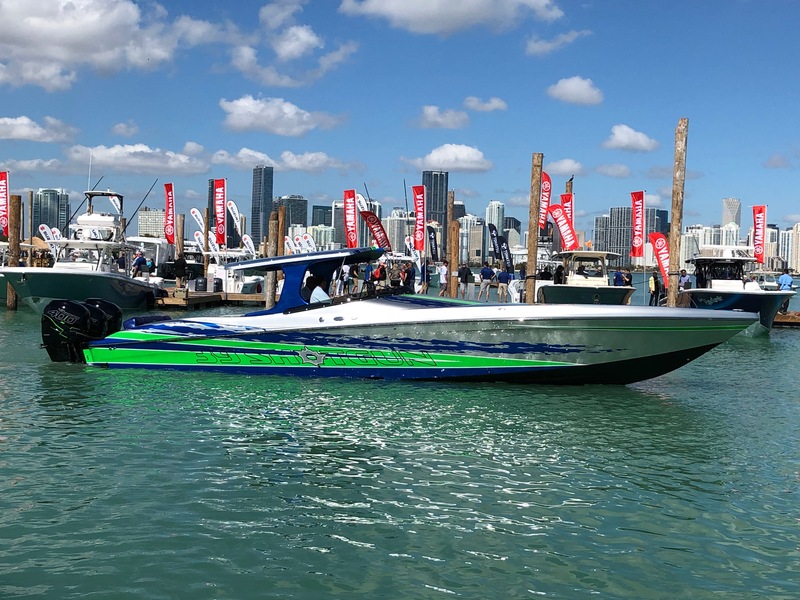 With Rolf Papke of Pro Technologies at the helm and Eddie Young of Young Performance gauging the engine conditions, the 39 Rockit hit a top speed of 132 mph before maximizing the prop. 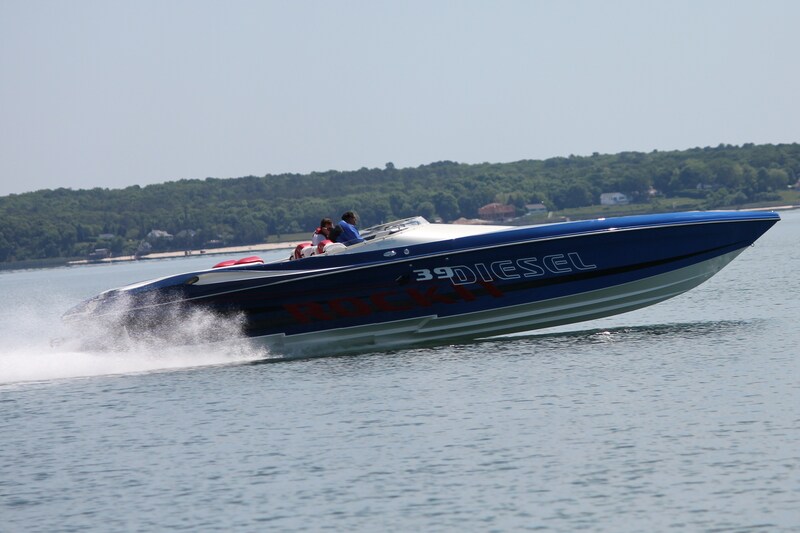 CALVERTON, NY– Hustler Powerboats is pleased to announce the completion of the first stage of prototype testing of the 39 Diesel Rockit. 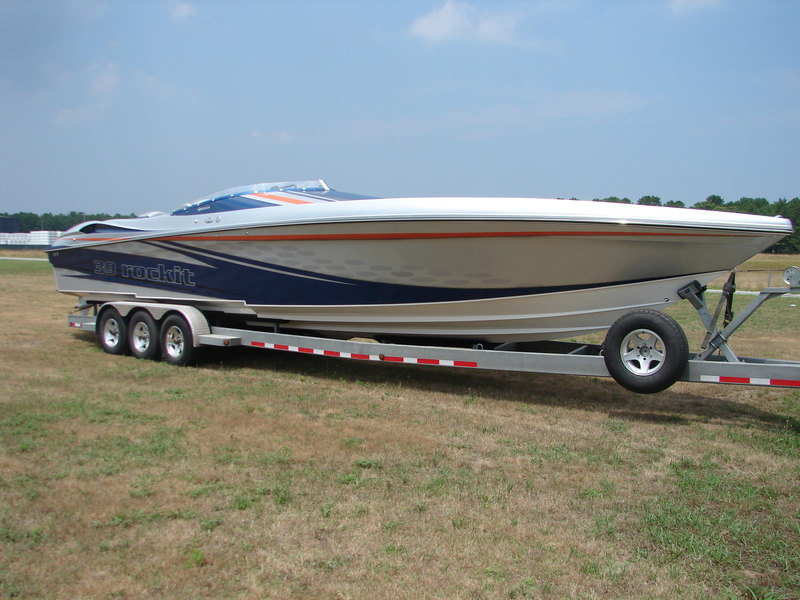 Equipped with prototype Cummins MerCruiser Diesel 6.7, the Diesel Rockit hit 84 miles per hour. 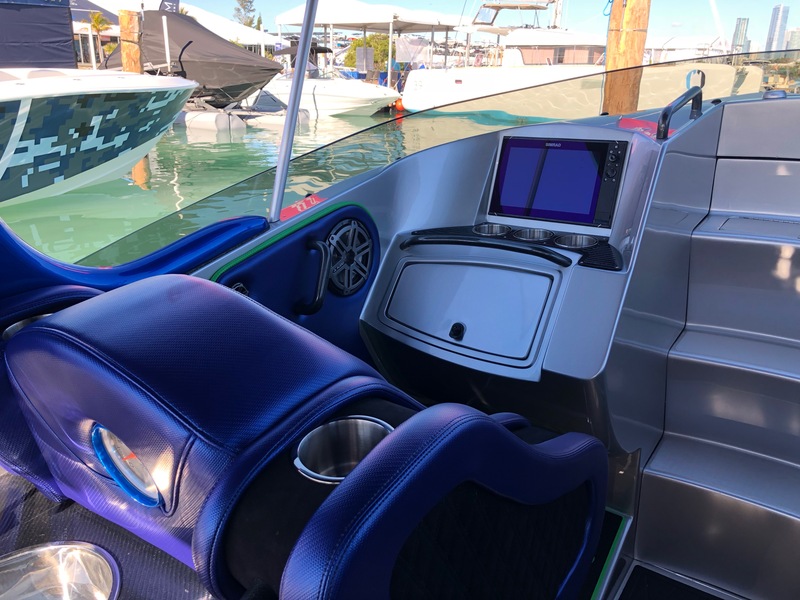 The motors, which were rated between 460 to 480 horsepower, will be taken out of the boat and be replaced with the new CMD 6.7 liter motors that are rated between 500 to 550 horsepower. 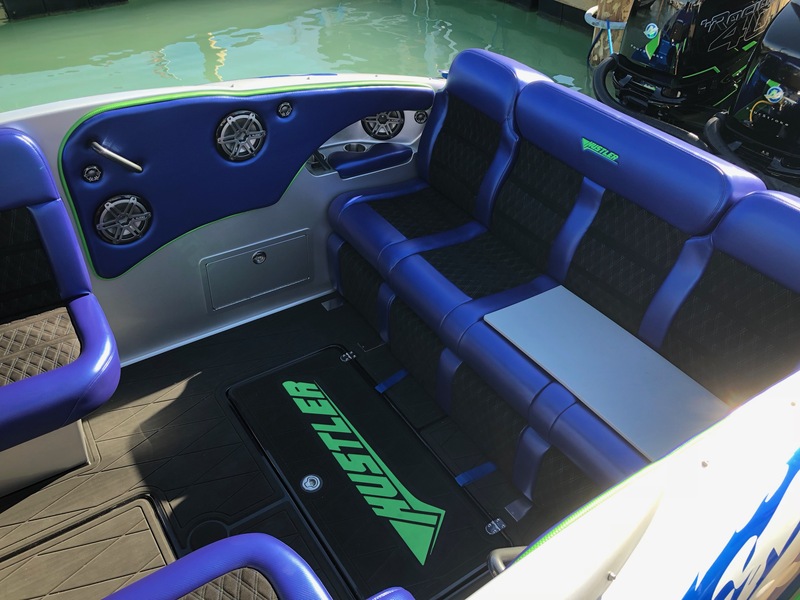 The MerCruiser Cummins Diesel motor will not be available until 2012, however Hustler will be taking orders on a first come basis. 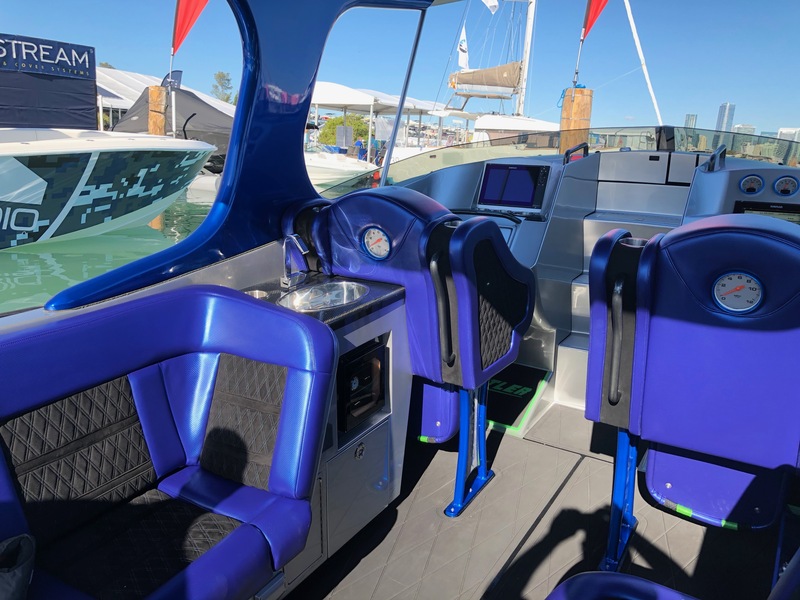 The evaluation boat and engine will be available for purchase, after testing, at a special discounted price with a full warranty. 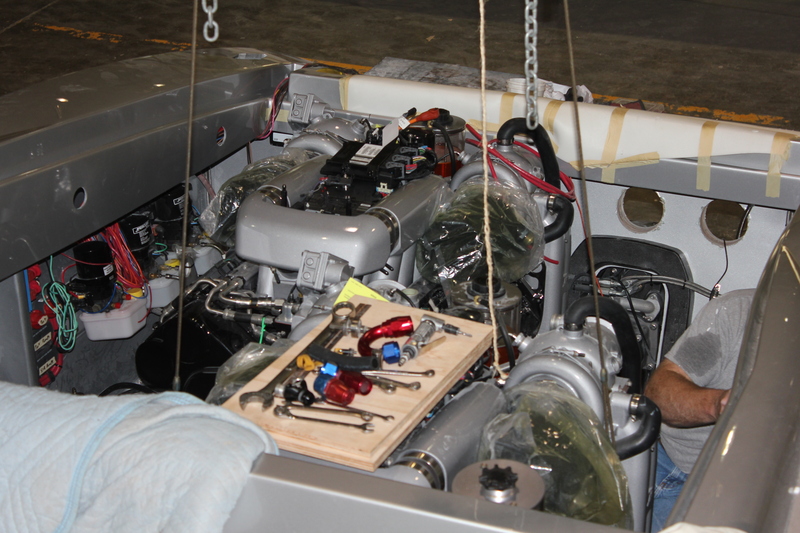 Based in Charleston, South Carolina (USA), Cummins MerCruiser Diesel is responsible for designing, manufacturing and providing reliable after-sales support worldwide for marine propulsion products. It offers a broad range of power, with available ratings from 40-715 hp for recreational applications and 150-715 hp for commercial use. Cummins MerCruiser Diesel is a joint venture between Cummins Inc. and Mercury Marine and can be found on the internet at http://www.cmdmarine.com.